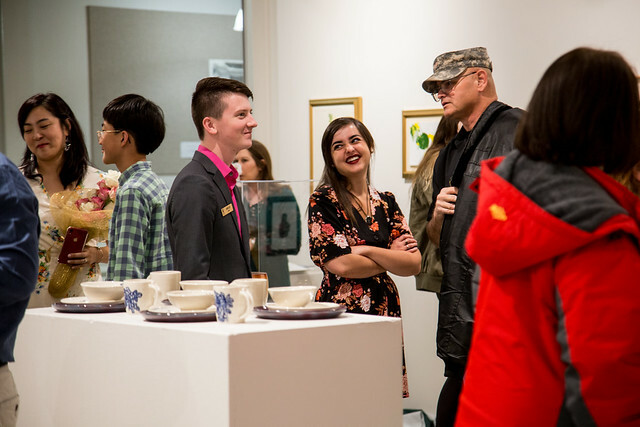 “Juxtapose,” the 2019 senior fine arts exhibit at Arkansas Tech University, is open through Wednesday, May 1, at Norman Hall Art Gallery. The show is available for public viewing at 203 West Q Street in Russellville weekdays from 8 a.m.-5 p.m. Paintings by guest artist Jerry the Bulldog, campus ambassador at ATU, also appear in the exhibit. Learn more about the ATU Department at Art at www.atu.edu/art.